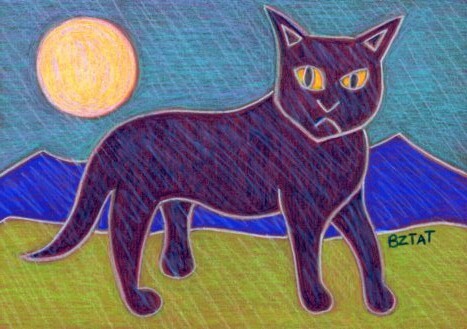 Contemporary Pet Portrait Drawings are artistic interpretations of your pet that are created in a contemporary style. These drawings reflect the characteristics of your pet in loose and whimsical fashion. Portrait drawings are created with Prismacolor Pencils on colored papers or white Bristol Board with inked in backgrounds. Commissioning a Contemporary Pet Portrait Drawing is a great way to celebrate your pet when you are on a budget. Prices are subject to change at any time. Non-standard sizes are available as well, however, may include extra costs depending on availability of materials. Please share a few things about your pet (breed, special characteristics, age, special moments, stories, etc. ).